Have you accidentally deleted all the text messages from your phone? Don't panic! You can actually retrieve your deleted messages with the right software - providing that this portion of the memory on your phone hasn't been overwritten by an app update, file download or something else. So, grab your phone and let's get those text messages back. There are several programs that you can use to retrieve lost or deleted text messages, or anything on your phone for that matter. We tried out the software MobiKin Doctor for you, which is our recommended method thanks to its speed and features. We'll walk you through the process with the software below, but you can go directly to the website if you want to see the company’s step-by-step guide. By and large, this software should be compatible with any Android device, including the latest models. If you're not sure about this, it's worth running the free trial to check. You can use the software without rooting your phone, though MobiKin guarantees you'll still be able to retrieve the full extent of your content if you do. To find out how to root your phone, you can follow the MobiKin method here. Please ensure that you also read our complete guide to rooting. Once it is connected, your phone's data will be displayed, such as model, system version etc. and you will be given the choice of what kind of data you want to retrieve. As you can see from the screenshot below, you have several options of things to recover: contacts, photos, messages, call logs, photos, videos, audio and documents. Select 'Messages' and click Next. Your data will be retrieved in a few moments and will be displayed as shown in the screenshot below. Here we have selected all the categories but if you've only selected 'Messages', you will only see that section. This work a little differently depending on whether you're running MobiKin Doctor from your Mac computer or Windows PC. You don't actually need to connect your iOS device to the Mac for this to work. Instead just launch Mobikin Doctor and it will auto detect and display all iTunes files of your iPad, iPhone or iPod which has ever synced with iTunes on your Mac. Connect your iOS device to the PC, launch Mobikin Doctor and hit 'start scan'. If you don't have your device to hand, then you can also run Mobikin Doctor on your Windows PC without connecting the device and select "Recover from iTunes Backup File" on the top menu to scan your iTunes backups for the files you want to recover, text messages included. Another option in Mobikin Doctor is "Recover from iCloud Backup File". This will require you to log in to iCloud with your Apple ID and password and then you can scan your iCloud backups for the files you want, just as with iTunes. However, if you specifically want to back up your text messages and nothing else, you could use a third-party app instead. SMS Backup+ is a great way to do so and it's free. The app can back up call logs, SMS and MMS to your Gmail. Of course, you will need to connect your Google account to do so. After doing that you can choose when the back up is performed and what you want to be saved. You will find your messages in a folder usually named SMS in your Gmail - convenient and easy. By default, you should have created a backup of your phone's data, including messages, every time you synced with your PC or Mac, so you can try recovering deleted text messages via an iTunes backup. All the data you previously backed up will now overwrite the data on your phone. It will take a few minutes and yes, anything you saved after the backup will be lost. As long as you didn't back up via iTunes after deleting those messages, they should now be back on your phone. If iTunes didn't work, then there's always iCloud, though specifically trying to restore text messages can be tricky. When Apple introduced Messages in iCloud a couple of years ago, you need to be aware that while enabling this syncs your messages across all your devices which use the same Apple ID, there's also a catch. Because if you delete your messages from one device with iCloud sync, those messages also get deleted from the other devices. Furthermore, messages are not included in an iCloud backup. At this stage, you'll be presented with a number of reset options, ranging from a simple reset of iPhone's settings to resetting its dictionary or home screen layout. There's nothing specifically called "factory reset." The option you want is Erase All Content and Settings. Select it. In theory it should support all the Huawei phones. If you want to recover deleted contacts, call logs and messages, you need to root the phone first. But if you want to recover photos,music, videos and documents, it should be possible just by turning on usb mass storage and running the program. If you have issues with it, try the support page (https://www.mobikin.com/support/android-doctor-faq.html) or email MobiKin at support@mobikin.com to get more help. After installing Mobikin Doctor and following the instructions found that it was unable to recover any deleted files. As such it is difficult to recommend Mobikin Doctor because it just doesn't function in the way advertised, a complete waste of time. We checked with Mobikin about this and they asked to make sure that you didn't write new files to your phone after you deleted the files, or the deleted ones may be overwritten by the new data and may not be able to recovered again. If you still have any problems, try emailing support@mobikin.com and they can help you out. Will this app to recover text messages cost me anything? Hi Charnay, your problem is one that we have not yet encountered yet in our experience with the program. There is a link here that talks about your phone not being recognized https://www.mobikin.com/android-backup/what-to-do-if-the-program-does-not-recognize-android-device.html however if you don't find the answer here, you should contact MobiKin directly as they will be able to provide you with catered help. You can write them at support@mobikin.com and their customer service expert will be able to assist you. Hi I want to print a conversation to .pdf which I normally do in SMS Backup & Restore but because it is a grouped recipient conversation SMS omits saving it. Is Samsung Galaxy S7 Edge supported by any of the programs above? Mobikin should work with the S7 Edge, but you could always do a free trial to check if the phone is compatible. Are the programs compatible with Samsung S7 edge? I need to find a cheaper alternative, a free one would be even better. I tried this tool. First it did not work, then I checked their guide I understood why. I didn't root my Android phone, I followed the steps and rooted my phone, then it works. Thank you so much for your sharing. I downloaded the mobikin app, but which didn't detect my phone, I have an LG G4, and then I realized that it wasn't rooted. They told me the recovery function only works on rooted phone. Ok, after it was rooted, finally the phone was recognized. The process sometimes can be long, but you need to wait for a moment. Then, everything seemed well, the phone was detected and all the data were displayed on the left. I guess I have a lot of files in my phone, so it took a long time to display them all. Like it is introduced, the lost texts were in red, and they were listed at the top. There is one thing I am not satisfied with, the recovered data can be only saved to pc. I downloaded wondershare Dr. fone and for some reason even though I followed all the steps, the download stops at 90% and continually restarts my phone. Is this normal? Am I doing something wrong? Please help! My s7 did the same thing, did you ever get it to work? When recovering deleted SMS texts from Galaxy S3, does it show on PC, or put back on phone? Hi, the recovered data will be showed on PC. I've long been using free little "SMS to Text" which saves selected threads as a *.txt or *.csv file that can be opened with columns in a spreadsheet. I don't need / want to restore them to the message app but to have available for future reference. Having all those saves in sequence in a single spreadsheet - to be searched or sorted by any column - works well for my purposes. Recover messages from Android phone .You need to download and install it on your computer. All you need to do connect your Android phone to the computer through USB cable. The FonePaw is nice. How is the MobiKin Doctor? I downloaded Mobikin but my phone wouldn't let me open it and I can't afford to get the other one right now so I guess I can't get back my lost messages. I seem to be losing messages a lot that I am not deleting. So I don't know why this is happening. When we lost texe messages by accidently, we’ll be unable to find the chat record, especially those from important people, such as our friends, important customers, and even the boss. I bet we won’t want to see this happen. Then we need to do something to restore your deleted text messages just like the article wrote. Thanks for sharing, the text messagtes are not really deleted, in case you don't save many new data to your phone overwritten them. Thanks for sharing, yes, we can still recover lost mobile phone text messages with a android phone sms recovery app. I only have internet on my phone, do I need to have it on my laptop to do this? So many suggestions from everyone so I'm sure the one who are landing here would be confused which one to choose. Root your device and you can easily get your deleted text messages back. This topic gets about 10 new comments everyday. Cool, isn't it? I'm sorry I posted same messages twice. It's high time guys start backing up your devices. Good sharing. I have lost my text messages on my Samsung Galaxy S6 and using recovery to recover it too. When i mistaken deleted my data I think I will lost them forever, but FonePaw help me get them back. So thankful. Thank you. But you missed an important reminder: Don't send more messages or make any other operations to y our Android if you want to recover lost data. Because new data will overwrite the old data in your phone, which means the deleted data. i cant enable developer on my phone. Stuck on # 1 step. Won't do anything else. checked USB cable, tried reconnecting.. no luck. and connected as a media device. yet, cant move forward. Please help! Wondershare Dr. Phone is the program that DESTROYED my computer. I had to temporarily disable Chrome's security settings to even install it so it was sketchy AF, but I was desperate to recover deleted info on my phone. IMMEDIATELY after I installed it my computer was unrecognizable. Wondershare Dr. Phone installed several undeletable viruses like Hades that kept downloading new programs. I tried to get rid of them but they wouldn't even show up in the Control Panel. I also couldn't make a single click without opening a new advertisement in my browser. My PC which I'd had for less than a year was completely unusable. DO NOT INSTALL IT NO MATTER WHAT YOU DO. Kris Carlon is an IDIOT who doesn't know what he's talking about and all these commenters making identical posts about Wondershare Dr. Phone in monkey English are shills and trolls. If you download this crap you WILL be throwing away your computer. The programs these guys are suggesting are completely useless. This is how we roll guys. is there anyway possible to retrieve a message from over a year ago? Or is it too late. Thanks for sharing, yes, we can still recover lost mobile phone text messages with a mobile phone sms recovery app. Check it if you have backup phone data to computer or google account .If you can not find , then use some apps to recover lost text messages is a simple task. Thank you for your professional suggestion! i think it is very good!!! Well， thank you for your professional suggestion! Any FREE text retrieval tools?? All these software work after a root. Don't try any software/app to recover your deleted data you might loose your existing data as well. Once the data is gone there are around 30% chances of getting your data back. Some links are gone. Good news. The software recommended here is a scam. They are the same under different names. Your phone must be rooted for it to work and the settings do not exist on all Android phones. It's getting on my nerves too. Some people are literally recommending anything. 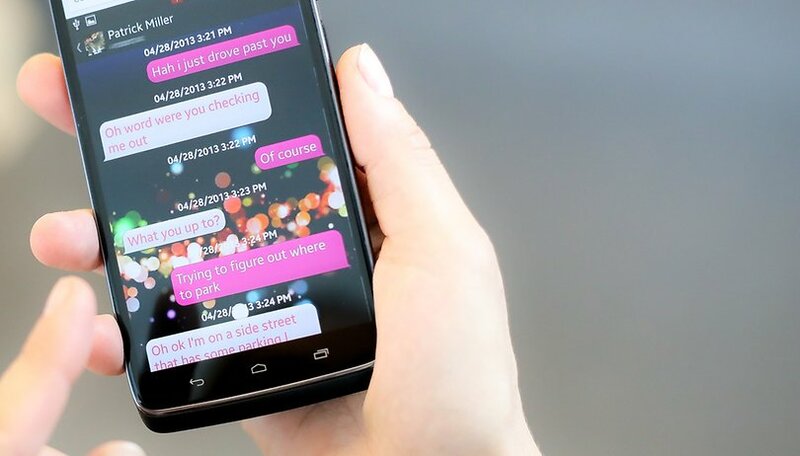 Although the text messages lost, you can use some great tool recover deleted text messages from Android phone easily. I have a recommendation for you get text messages back. Have a try MobiKin Doctor for Android. I find it on softonic website. It work fine. Start backup up your devices peeps. They are talking about the same tools with different names. Don't get carried over by these comments. These folks just trying to help. Well i have a Samsung Core SM-386W but it seem's that there's no prog to recovering my erased messages anyone know's some way to get it ? It's so good to see that everyone is helping each other. Most of the times you have to root your device before using anything to un-delete any type of file. Backing up text messages is much more easier than recovering them. Great article. Thank you very much for sharing this. I just purchased my first Android phone Samsung Galaxy S 6. And I have been using iPhone for more than 5 years. So I am not that familiar with Android. I always operate my Android phone thinking I am using an iPhone. So the yesterday, I deleted my text messages with my friends and I really want to get back the text messages. Then I searched on google and find your article and many others. I just get back my text messages. Thank you very much. Whether you deleted or lost text messages from your phone, you're recommended to try not to use your phone for SMS receiving and sending to avoid data overwriting. That's a pain to have some of my messages lost forever. Go to find a professional recovery tool for help. Stop using your Android wouldn't going to increase your chances of data recovery. Please guys stop sending me messages in my inbox for the software key. I can't share/sell it. There are also more easy solution to recover your deleted SMS messages on the internet. Recovering deleted text messages isn't that easy especially if you keep using your device. well, the wonderfoneshare contains malware.. I've used Bitdefender Internet Security 2015 and Anti Malwarebytes to scan Wondershare but they couldn't found any malware or virus in these programs. I think it is always wise to regularly backup your android phone to avoid the data loss. Why not make backups regularly or automatically? All my data can be synced to my Onedrive. So I will never lost my data. To be honest, it isn't a nice idea to recover deleted text messages by this way. I recover my SMS from IPhone 5S successfully by following this guide. This is certainly the hottest topic of Android Pit. I've had the bad experience of deleting important text messages by accident. I'm so pissed off... Now I use Apowersoft Phone Manager to backup all my important data to PC so that I can recover them if they are lost, again. Now they started giving their email addresses too. Height of spamming. Android users are getting annoyed by losing personal data on the phone. However, the lost data are still in our phone memory, just use professional recovery tool, we can get them back. It's almost impossible to find that one app/software that can recover every single file from your Android device. I loaded this trial version on the PC and was liking how it easily found my dads old Motorola Atrix. It took awhile but it finally finished. No text messages were found from a phone that had them 3 hours before a factory refresh. It did say that it found 1,187 pictures. Some had been deleted for over a year when he ran out of room the 2nd time. He has since then had to do this 3 more times, so I am pretty sure those pictures are crap or in just name only. Since you can only see what it could do with what it found and not retrieve anything without paying, I uninstalled the software from the PC. I then called AT&T and had my dad answer a few questions for them to prove he is who he is and they sent him his texts. Don't go to the store to do this. They are Sales and not Techs. Next I had to setup AT&T Address Book and verify that his contacts were there via the web browser on his computer. You can also see your text messages there as well. I then copied all the had-to-have messages to a word document. After doing this I had to do another hard Factory Reset. Why? Because when I installed wondercrap onto the PC and let it detect the phone, it installed malware the form of some memory manager thing that would popup after 2 browsing attempts. I screamed DON'T CLICK IT! and grabbed the phone. Said oh crap. Clicked the X and handed it back to him. A day later he said it is still doing that so I did what I did in the previous paragraph. Why don't use guys use the the apps like SMS Backup and Restore to backup your text messages? It is good to know that you can use FonePaw Android Recovery tool to get back the messages that yo have deleted by mistake. When it comes to file recovery, the first thing to bear in mind is that there are no guarantees. Data that's gone may very well be gone for good, especially if the device has been used since the file or files were deleted and new data has overwritten it. However, nothing ventured, nothing gained (or lost). good news to share here. if you are worried about some Android files recovery tool unable to support your Android 5.0 or newer, you can turn to a more professional and versatile one. With the new Android 5.0 Lollipop it's more harder to recover deleted data from Android device as most of the Android recovery tools doesn't support this latest Android. This was a very interesting and useful article I discovered having accidentally deleted a text message conversation thread on my new phone (SM-G357FZ). However, following it and other similar articles, I discovered that for the vast majority of stock Android phones (ie. not rooted), it is not possible to recover deleted normal SMS/text messages. This being due to SMS messages being stored in the phone's flash memory, which is largely inaccessible to analysis from stock Android. So to emphasis the second part of the article it is better to install as standard an SMS Backup tool such as SMS B&R which effectively reads the SMS message store and stores a copy on to the SDcard or elsewhere (user configurable location) and set it to perform a regular backup/export. PS: I also found other solution, but I'm not sure if it works for you. Go to the contact in your contact book press the menu button and then hit history and all your deleted messages and threads should be there..
Is it possible to retrieve text that were deleted over a year ago? It is hardly to recover text messages deleted over a year ago, as the messages probably be overwritten by new content. WARNING! I used SMS Backup and Restore several times to back up my Android text messages for a court case, and in several cases it DELETED several dozen emails. It appears to happen when the app crashes while creating the backup database. I got in the habit of running the app every few months, and sometimes it worked fine (no crash and no deleted messages) while other times it crashed, and when I checked both the phone itself and the backup file there were dozens of messages missing. Hopefully there is another app out there which is more reliable? There are loads of website, which claim to be able to recover lost and deleted text messages from Androids, such as and others, like this Wondershare, etc. but I've heard they're not that good? I'm a bit confused as to whom to trust. Which one is the most trustworthy one? Thanks in advance. I lost videos on my S3 and cannot Recover the lost data because the computer is not seeing the phone memory as a drive. I downloaded recuva but won't see the phone as a drive. It is not assigning a drive letter. Any help please?? I tried those steps but it doesn't work :( am so disappointed. coz i lose my SMS history that i rested my Mobile before take a backup :( what should i do any help plz??? It is possible to recover deleted text message from android phones, but you should make sure have backup files somewhere. 1. Google account, if you have a google account for your android phone and open the automaticalli sync, you can try to recover from google account. 2. Offical PC software, generally speaking, an android phone need to upgrade in computer via a official PC software, such as Samsung PC studio, and this applicaiton have a automatically backup function, when you connect the phone to computer and launch the application, it will make a backup for your phone data, thus you can try to find the backup from PC studio. And for those of us who prefer not to be beholden to Apple or Microsoft, but use open source for all our computing - with Linux - is there an equivalent to these commercial programs in the free world? I mean, what's the point of having an open-source phone if I have to rely on a commercial operating system to work on it? I finally found these three Android Recovery tools all seems to be useful because I have simplely restore deleted SMS from Samsung. So is there anyone tried successfully restoring lost data with other program? Actually i recently updated my galaxy grand quotrro to 4.1.2 and when i returned i saw my phone empty(means all contacts and messages on PHONE were lost).All i was left wa the memory in sd card . As mentioned above, act quickly! Turn off your data so nothing new gets written over the top of what is already saved on your memory card and get some recovery software and follow the steps. This tutorial is a good start! If you deleted them then recover them straight away then you'll 100% get them back, but if you've been using your phone a lot and over writing those deleted data... then your chance of getting all of them back will be slimmer. Try to recover your data, you'll need one software. i hope Apple finds a solution to this problem, which is becoming more common as the iPhone users increase. The good news is, you can get your messages back, but the not-so-good news is, there’s no free method available. I can’t speak for other websites, but this one have I personally used and it’s quite a good user guide. I accidentally lost some irreplaceable messages, and because it's a lifetime licence they gave me, I can always re-cover – that is, as long as I have my iPhone. There are some others,so do your research and I hope you get your stuff back (if you haven't already). Just to clarify, SMS Backup and Restore is not going to help you RECOVER lost messages, just back them up when they are safe on your phone and then restore them (but only if you've saved them first!). If you haven't backed them up SMS B&R won't be any use. Hello,guy! I suffered from the same problem last month. In fact, it is possible to recover deleted text messages from Samsung Galaxy S3, after the trouble I searched for solution for text messages recovery on the web. Finally, I learned that I can use an software called Tenorshare Android Data Recovery software to get back deleted data from Android phone. SMS B&R works great also if you have to do a factory reset, or move to another phone. Just backup your messages to your SD card, then restore from there when the reset is done or put it into the new phone. Now you don't have to lose all your messages. Agree. It's a great app if you're switching from one device to the another and want to transfer your text messages from your old device to the new one. You can even schedule it on an archive basis. Its time to download this SMS Backup & Restore free app.As it suggests,hope its not time consuming.Well it seems to be. Not time consuming at all! From installing to backing up it'll take you less than a minute. But do spent another minute to export your backup and set a backup schedule. That way you'll never lose another SMS again!